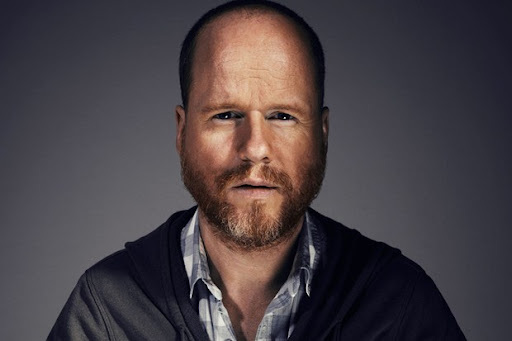 Anyone who scans the daily geek-news knows that Joss Whedon positively loves to talk about his projects. As a consequence, people love to interview him and pretty much every word he speaks in the presence of another human being is recorded and placed within the vastness of the Internet. Here’s a little more of what Whedon has to say about why Wonder Woman projects seem to be cursed, as well as his thoughts on possibly returning some already used characters to the S.H.I.E.L.D. television show. I don’t think that was a match. I just don’t. I don’t think that he needs to write about superheroes. You need to need to write about superheroes to write about superheroes. If that’s not in your vernacular, you may bring something new and interesting to it, but at the end of the day, if you don’t have that burning desire to talk about these people who have these insane powers, then some other agenda is going to come forward and you might accidentally turn off the dark. I honestly do not think they are available because I think she is on another show. We’re building it with a new group of people. They were great and that had a lot to do with why we are making the show, but we are starting fresh. So there you have it, the latest words of Joss Whedon. Listen, worship, obey and, most importantly, watch his television shows! Next week, Joss Whedon expresses him opinions on the viability of 1-ply vs. 2-ply toilet paper. Read plenty more of Joss Whedon’s words over at craveonline and a special thanks to ComicBookMovie for bringing us the good news. If you were born anytime after 1980, chances are that the last thing you saw everynight before you went to bed was the page of an R.L. Stine book. 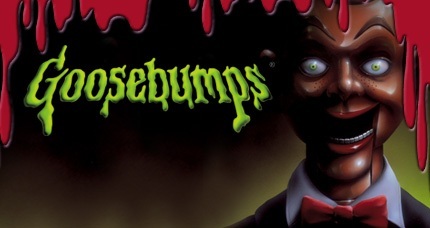 Stine, the master of horror for kids and pre-teens has been at it for 20 years, churning out over 100 “Goosebumps” books, a TV series, and now Hub TV’s R.L. Stine’s The Haunting Hour. Is it harder to scare kids now and have you changed your style at all with kids increasingly moving away from books and turning to TV and the Internet and that kind of thing? I don’t accept that, kids are reading a lot. Years ago the children’s book business was tiny, it was a very small part of a publisher and now it’s a billion dollar industry. Kids are reading. Children’s book sales are up eight percent for this year so I think kids are reading which is a really wonderful thing. Why do you think we want to be scared by spooky stories when we’re little and even now as adults? Well, I think kids like to be scared a lot, but they have to know they’re safe at the same time. It’s really fun to go out and have these creepy adventures and fight the monsters and battle all this adversity if you know that you’re safe reading in your room at the same time. And I’m very careful with my books, like with the Goosebumps, that kids have to know that this is a fantasy. This is fantasy horror, this isn’t going to happen, this can’t happen to you. Yeah, it’s very creepy, but they have to know that it can’t happen and it’s not going to go too far. Has there ever been a fear or a theme or an image where you’ve started to go in that direction and then you’ve had to pull yourself back, you didn’t want to go that far. Is there anything you consider “off-limits”? Very rarely, I’m kind of conservative with it. A lot of times my editors are saying “Hype it up. Make it scarier, make it scarier.” I hear that a lot more. Every once in a while I will, like the very first Goosebumps book is called Welcome to the Dead House, this kid moves to a new town and all these kids come up to him and say “I used to live in your house” and it was the very first one I did and they’re all like zombie kids and they’re out to get him and right now I think it was too scary. I think that book went too far, the first Goosebumps book. And after that one I kind of realized it and I pulled back and I started adding a lot more humor. Is there still a challenge for you? You’ve been doing this for so long. I find it much more of a challenge cause it’s twenty years of Goosebumps, twenty years, it’s over one hundred books and so I guess I’ve done every story you could possibly do, right? So to find new scares and new plot lines and not repeat myself has become a lot more of a challenge, but that’s kind of fun for me. How do you, just as a writer I have to ask, how are you that prolific? How are you able to day in and day out pump out high quality material like that for such a long period of time? I don’t know, it’s the only thing I’ve ever been good at, you can ask my wife really. It’s the only thing I’m competent at and I just love it, I’ve been doing it since I was nine years old and I still look forward to getting up and sitting down at the computer and banging out ten more pages a day and getting new stories. I don’t know what else I would do all day, but the writing is fun for me because I do so much planning first. I do all my planning before I write. I chart out the whole book; I do very complete outlines of every book I write before I sit down to write, so by the time I’m writing I know everything that’s going to happen in the book. And then I can just fill out the outline and have fun with the writing and enjoy it and that helps me I think to turn out more books than having to plot it as I go. I noticed in the ‘Weeping Woman’ episode of the Haunting Hour series, I noticed a bit more social commentary and implied marital trouble, are kids these days responding to that kind of stress more? Can you now add those kinds of pressures? I don’t do it much, but the Haunting Hour is sort of aimed more for teenagers and for families and so they’re pushing it a little farther, the writers. They decided to make the Haunting Hour a bit darker then the Goosebumps books and they’re teenagers instead of kids involved so they’re getting into some of those issues that I wouldn’t do in the books. In the ‘Weeping Woman’ the basis of the story is the myth of La Llorona, so you kind of have this cross-cultural terror happening. Do you find yourself pulling inspiration from different cultures like this or is it more like these are certain fears that undercut all cultural differences? I think the fears all are the same, but there are wonderful legends in all these cultures and it would be nice to be able to explore them. 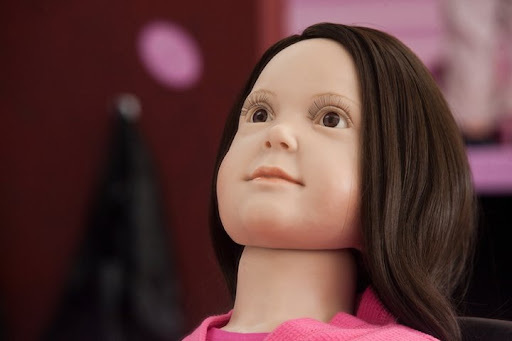 But that’s the same fear, that statue is not very much different from Lilly D, that doll that came to life is it? You just released Red Rain, which is a novel that’s targeted for adults. What’s the bigger challenge: creeping out and scaring kids or scaring adults? Oh for me scaring adults because I’m not used to it, so it’s a much bigger challenge and I just wrote it because I thought I needed a challenge. Kids’ books are a lot of fun and they’re so easy, they really are a pleasure for me and I thought why not do something hard? Why don’t I do something a little more ambitious? And then I have all my readers from the 90s who’ve grown up, all those Goosebumps/Fear Street readers who were 10 back then are all in their 20s and 30s, and they’ve been telling me “write for us, please write something for us”. So that’s why I wrote Red Rain, but I found it was a challenge. Five months and I did research for a month, mainly on that island. You know, it takes place on an outer banks island off South Carolina and I’ve never been there, so I just sort of deliberately did it as a game for myself to see if I could really research it and get it right and get all the details right; the vegetation, the birds and do it right. So, I spent about a month doing research and then five months writing it which is a lot for me because the Goosebumps books take a couple weeks. Is that something you want to continue to pursue. do you want to keep writing for adults or mix and match? If people like it, yeah I’d enjoy doing more. I love writing for my original audience, I mean those are my kids, those are my people from back in the 90s and I love writing for them, but it just depends if it’s a hit or not. If people really buy it and enjoy it I would love to do more otherwise nobody will ask me to do more. They won’t answer my calls. I have no good answer for that, I don’t get scared. I have normal adult fears of course, but horror doesn’t scare me at all. I go to a scary movie or something I don’t know what that feeling is of being scared, I always laugh. When I read a horror novel it makes me laugh, I always find horror funny. People say “Oh, I was up all night because of your book, you scared me so badly” — I wish I could feel that. I’ve never had that feeling I always find that funny. Who is your favorite horror writer? If you have one. Steven King is, I think he’s a wonderful story teller and there are a couple of Steven King books that I think are amazing. Pet Cemetery is one and Misery is another book I just think are brilliant, maybe the best book ever written about writers and editors. R.L. Stine’s The Haunting Hour airs on Hub TV at 6PM ET on Saturdays and you can learn more about the show here. If you want to pick up a copy of Red Rain, you can get it at Amazon.com and wherever fine books are sold. Special thanks to Nick Bungay for all his transcription help. This past summer, I started what I call long-form interviews. In YouTube world, they always say that a good range is under 10 minutes but I felt that takes away from people’s stories if you limit their time. In these interviews I let the cosplayers go for as long as they want to. Some runs for 20 minutes, other runs for 40 minutes. I figured these interviews will allow people to understand and hear more of their stories. Manifest Destiny Cosplay I found online somehow. I usually spend many hours just digging around and when they happen to be at Animazement in South Carolina, I shot them an email. We met and talked. The video of the interview and other photos after the jump. Audio drama is a harsh mistress. In a YouTube clip world, the idea of sitting down for an hour and listening to a play can be a tough sell. And yet there is one outfit that is thriving, The Minister of Chance. Featuring a stunning cast including Sylvester McCoy (the 7th Doctor), Paul Darrow, Jenny Agutter and Julian Wadham as the Minister, MoC is auditory science fiction at its finest. I recently had the opportunity to ask producer Clare Eden a few questions about The Minister. For the uninitiated, how would you describe The Minister of Chance? Clare Eden: The Minister of Chance is a drama series that is available as a FREE podcast to anyone, anywhere. We now have three episodes and a prologue available and have been overwhelmed by wonderful reviews for it. Basically it’s a cracking good yarn told by a superb company of actors! It seems every medium has a slightly different definition of the job of a producer. What does producing audio drama entail? Eden: Ha! I’m sure that ‘producer’ on every project is a different handbook – as the exec producer on a series funded first by overdraft, and now by incredible fans, I can tell you it involves turning your hand to absolutely anything whatsoever needed and that can be from casting and contracts to publicity and cast catering! The only area I avoid is the technical one – my skillset may be broad but it doesn’t extend to sound effects and editing – that’s the world in which Dan reigns supreme! We have a few crew [members] who very brilliantly help us out in production but generally, the day to day task list is just managed by Dan and me. MoC has attracted some big names to its cast. How did you approach, for instance, Paul Darrow? Eden: I am terrifically proud of the cast we’ve assembled for this – and mostly it just required a good deal of nerve! I worked for many years as an agent and one thing I held onto firmly was that my clients found it hard to resist a quality script even if it did come with a bonkers budget. So we simply thought who we’d like to be in it, I approached their agents and we held our breath. Creating audio drama for release like this is a very innovative idea and fortunately the concept and Dan’s script piqued the interest of a superb cast! I was also able to introduce Dan to some really good actors that had been clients when I was an agent, and we have been able to work with several very young actors I know because they were Bursary students with the John Thaw Foundation which I run for Sheila Hancock. Across the board, it’s a cast (and crew) of people who play their role beautifully but are also really supportive and ‘up for it’! You are beginning production on Episode Four now. Has production become easier the more you do? Eden: The headaches of achieving miracles on a very small budget remain a challenge always but the cast (and their agents) now know they can trust us to produce something of quality and that they’ll enjoy working with us, so that side has become easier. I do feel like we’re getting a gang of mates back together each time. Similarly, now we’ve got history and an established group of both fans and supportive reviewers, it’s a bit easier to get word out when we have an episode to release, or are starting a crowd-funding campaign. Has Dan let you in on where the series is going? Eden: If I answered that, I’d not live long enough to finish this senten…. There’s no real precedent in the audio medium for the type of crowd sourcing MoC does. Do you find that to be liberating? Eden: It is very wonderful to think ‘well I like this script, shall we just make it’? The commissioning process can be very frustrating and there is no doubt that it is liberating to be able to make something because we think it’ll be good – and to make it the way we want to. But it doesn’t mean we’re not answerable to anyone, we’re answerable to a heap of people who have invested their very hard earnt cash into becoming Minister Moguls. It’s fantastic to be in direct contact with its audience and to experience their phenomenal support, and both Dan and I feel a real sense of responsibility in making that support count. How can people help ensure more MoC in the future? Eden: Well, first off, just go to Ministerofchance.com and download it (for free) and listen. Then tell anyone you know about it by any means possible (we have no publicity budget!) and that’ll bring in more fans. If you have any spare cash, then brilliant, invest in a perk like the chance to be in it, or to own cast-signed scenes and have a character named after you – that all helps finance the next episode. We also have some merchandise available on our website and profits from that support production too, we’re hoping our merchandise range will help solve a few Christmas present headaches as we get nearer that time of year! But even if you’re broke, your help in simply introducing new people to it, or sharing news via Facebook or Twitter, and even something seemingly straightforward like leaving a review on iTunes makes a real difference to its future. The series just wouldn’t exist without its fans!